When I was younger one of my favorite things was the summer reading program at the local public library. There was always some kind of theme and the goal, ultimately, was to get children reading while they were out of school. The was always a prize for reaching little tiny milestones over the course of the Candy Land-esque treasure map. Prizes like a personal pan pizza from Pizza Hut (I never did redeem this) or a bookmark which exclaimed to everyone within a 5 mile radius that you LOVED reading. The summer reading program was awesome. Not only did I get challenged to complete a task, which I definitely could beat my sister at (I’m competitive), but I got to head to the library week after week to get new books. I would constantly check out the same few books time after time. Mainly a fiction book we read in class that year that I couldn’t put down or a baking book for children. Yeah, my love of baking started very early on. Sadly, when you grow up there’s no longer such a fun way to get reading back into your life. Well, there’s book clubs where maybe a good class of wine or spot of cheese on a cracker can replace that cool number 2 pencil reward of years ago. Now I use reading to relax and stay sane since life seems to move so much faster when you’re an adult. Or maybe that’s just me. The last book I read was The Fault in Our Stars. Obviously it’s quite the tearjerker. So, I decided maybe it’s best to seek out some other books to finish out the summer reading. As you can probably see, it’s fairly expansive. Subjects from novels about all the thing humans waste to the economics behind the disribution of capital. But right now in my iBooks, Orange is the New Black is just begging to be started. Maybe it’s time to start up the ol’ boozy book club again? 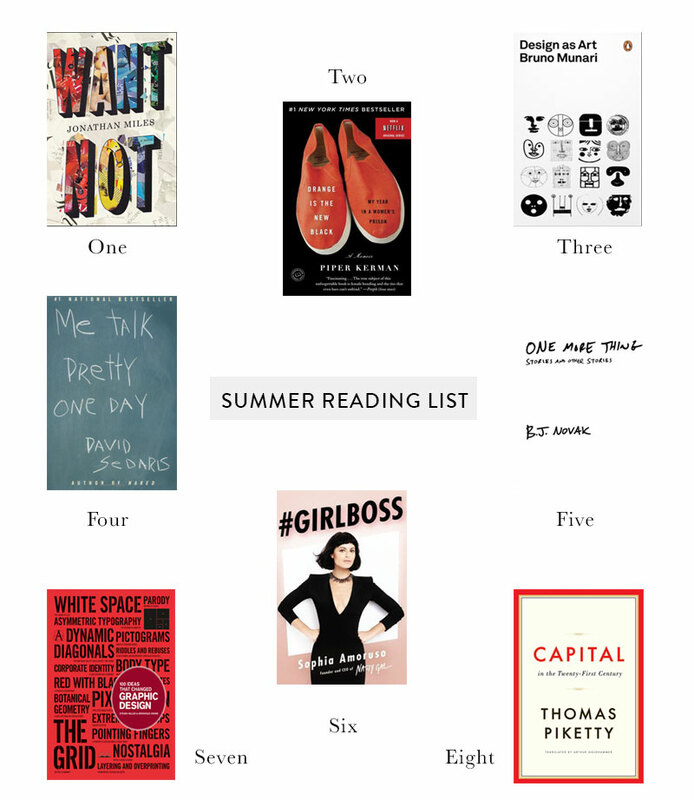 Posted in Books and tagged Books, Entertainment, Personal, Summer on July 22, 2014 by coffeeandwinter.